Putting a Smile on His Face - A Rose Is A Rose Is A Rose! It was Sunday morning, he woke up early, and there was an unusual spring in his step, as he went about folding the blanket and making his bed.I smiled to see him carrying forward his habits from his boarding school at home. Aaryan was back home for his week-long autumn break. And as always, the home was buzzing with a flurry of activities. The intercom and our mobile phones were dominated by calls to and from his friends, after all, it was an important day. Jayesh, Aaryan’s friend was giving an action and fun packed birthday party at a mall. A action thriller movie followed by playing at bowling alley and then snacking at a joint was on the agenda. Aaryan was ready much before the scheduled time and I could sense his restless excitement. My phone buzzed and as I listened to the caller at the other end, a frown appeared on my face. As I relayed the info to Aaryan, he appeared sad. A cancelled party can upset anyone. My heart ached as I saw that he neither complained or whined just watched TV listlessly. I galvanized into action. Checked the fridge, made a list mentally and made a few calls. As I made some preparations, our door bell rang. As Aaryan, opened the door, he was pleasantly surprised to see his friends from the building. He looked at me questioningly. I said, “Party is on, not at the mall but at home”. And all the boys gave a whoop of joy. I ordered a movie on showcase. Since there was some time for the movie to start, the boys got busy with games on PlayStation and Laptop and I got busy in the kitchen. As the aroma of fries wafted through the house, Aaryan joined me in the kitchen. Seeing me fry McCain Smileys and Potato Cheese Shots, he asked if he could help me in some way. My motherly heart swelled with pride. I said, “Sure and call your friends too.” I served the hot McCain Smileys and Potato Cheese Shots in serving plates and gave pineapple slices, cheese slices, Thousand Island Dressing along with olives and parsley in separate bowls. I demonstrated how to garnish the Potato Cheese Shots and the boys took it ahead from there. 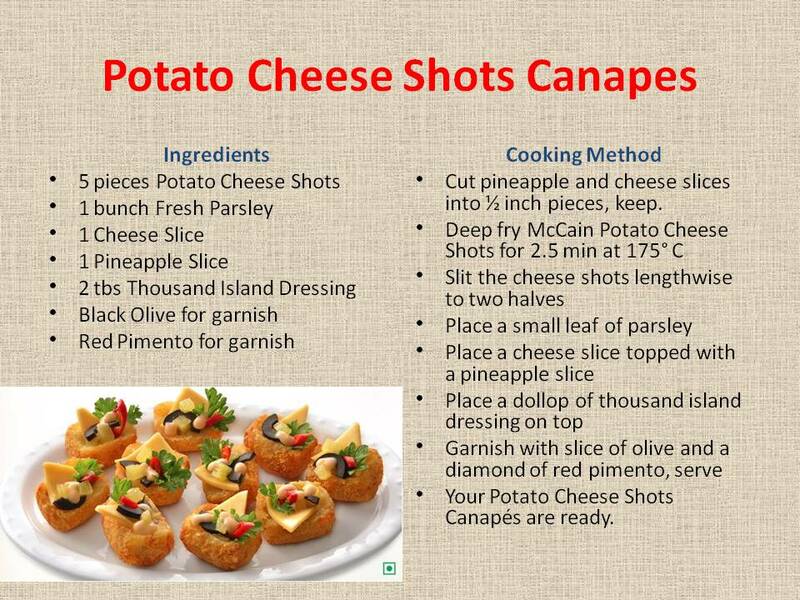 They had a fun time making the Potato Cheese Shots and Smiley Canapes. And once they were done, they truly enjoyed their fruits of labour, literally and figuratively. 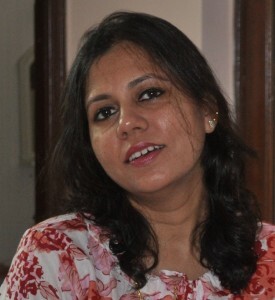 Over boisterous chatter, smiles and laughter, they wolfed all Potato Cheese Shots and Smiley Canapes with cold drinks. Seeing the smile return back on my son’s face, I realized that it doesn’t take much to make someone smile. A big hug from him later proved it! Aw… what a sweet post. You did such a super job. That garnish totally made it special. I am stealing the idea for sure. McCain and I also go back a long way. Quick and easy and I can imagine a big hit with the kids. That was thinking on your feet, Shilpa. Very nice of you. I am glad both you and Aryan enjoyed the day. Where was KG on that day? Shilpa you are truly the supermom. Canapes look yum. those look so amazing…I feel like taking it out of laptop and eating it. You are brilliant !! You son must be so happy. I cant wait to try them out!! they don’t seem too hard to make! Woowww.!! That was a real treat for your son.. And I can imagine his face learning about the cancellation plans.. but your idea cheer him up.. what else do boys need? ah! how well you changed what could have been disappointing into something fun! And those canapes look mouth watering! Nice to ask for a Twitter handle. Loved it. I have done a similar act when a movie program of my daughter with her cousins from down south had to be cancelled due to rain. It was McCain which helped me to set up the living room as a cine hall. Just recollected it Thanks. Nice post. Ah! The heart of a post on food is a charming picture… and this needs a back-up from the instinctive art of plating. A visually great post!